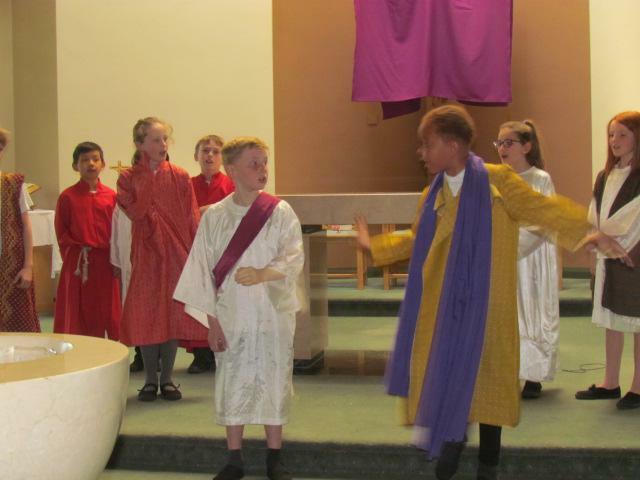 On Maundy Thursday the whole school came together to remember the 'Passion of Our Lord Jesus Christ' which was led by our Year 4 class. 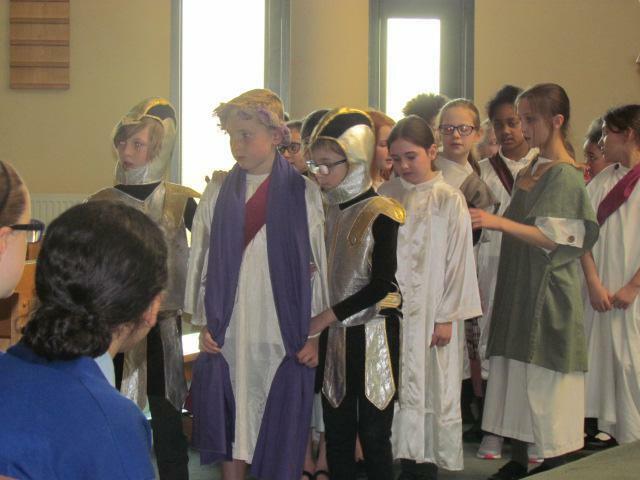 Through role play, the Year 4 pupils retold the events from Jesus' entry into Jerusalem on Palm Sunday, to his death on the cross on Calvary, on Good Friday. 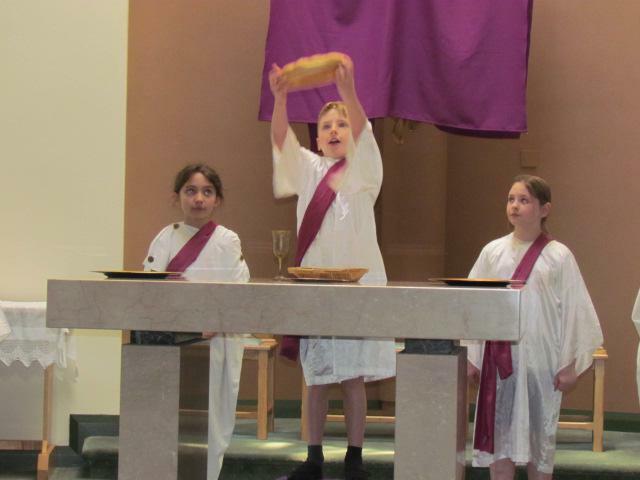 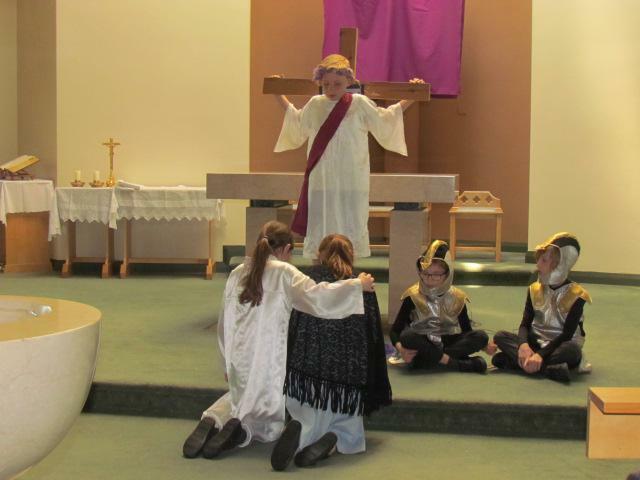 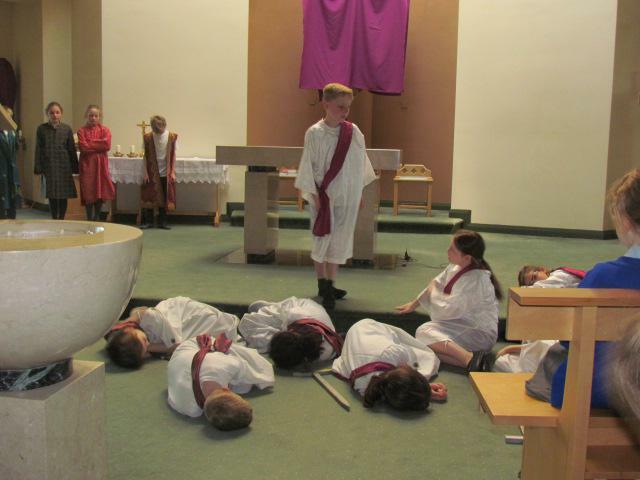 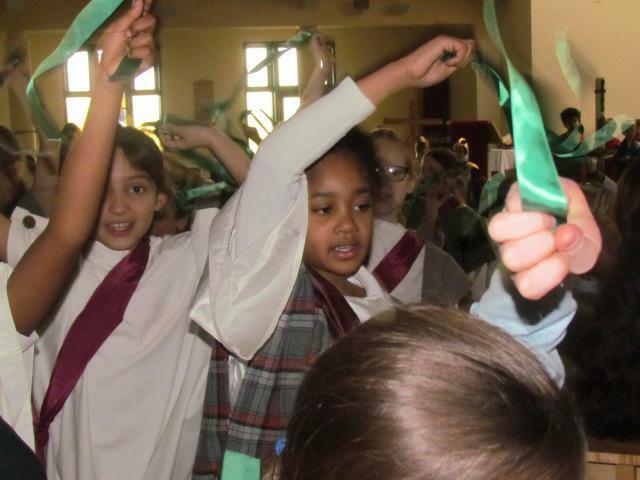 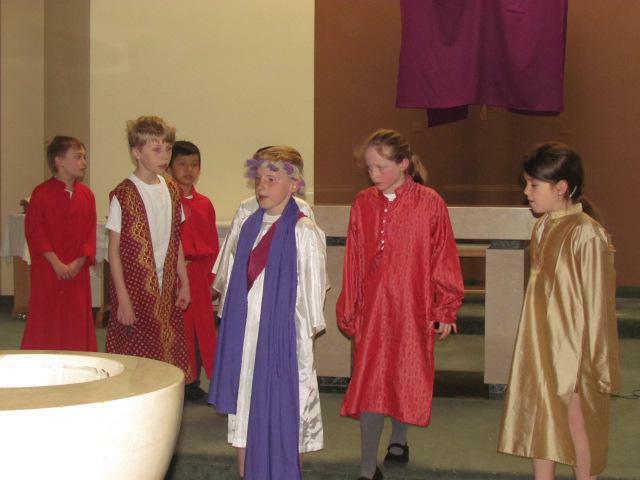 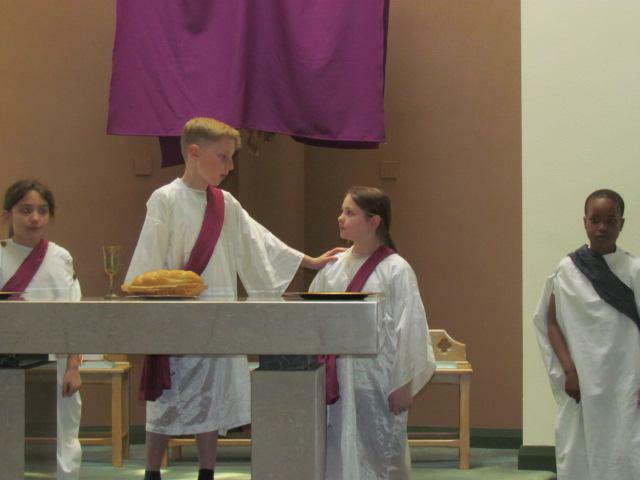 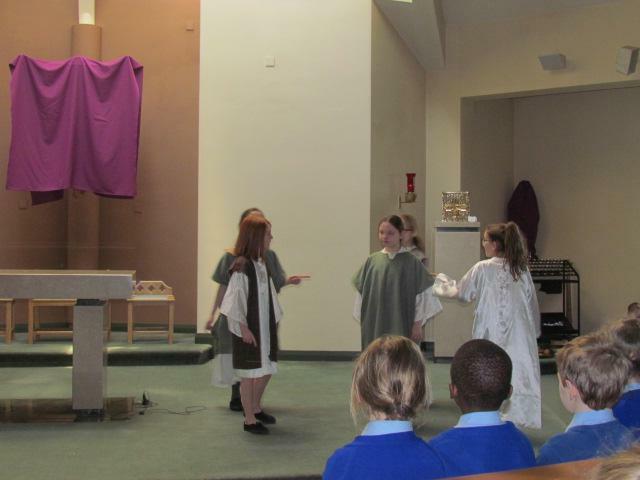 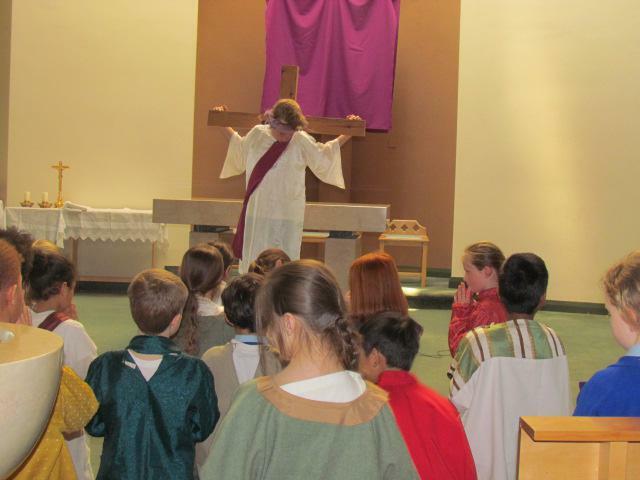 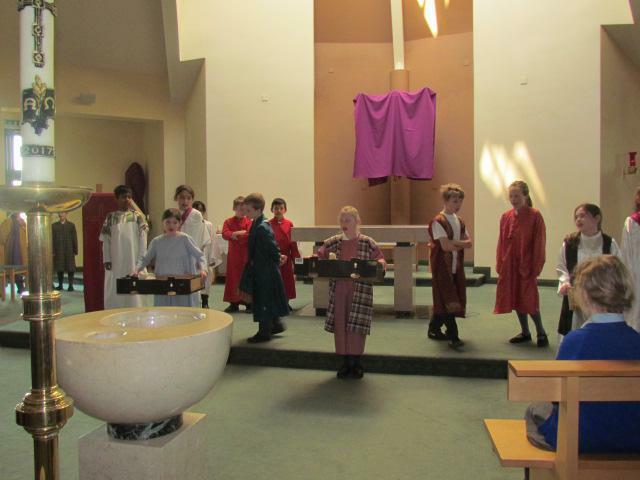 Year 4's ability to re-enact the joyous to solemn occasions with great reverence was remarkable and really highlighted the importance of Jesus' suffering and death to the whole congregation. 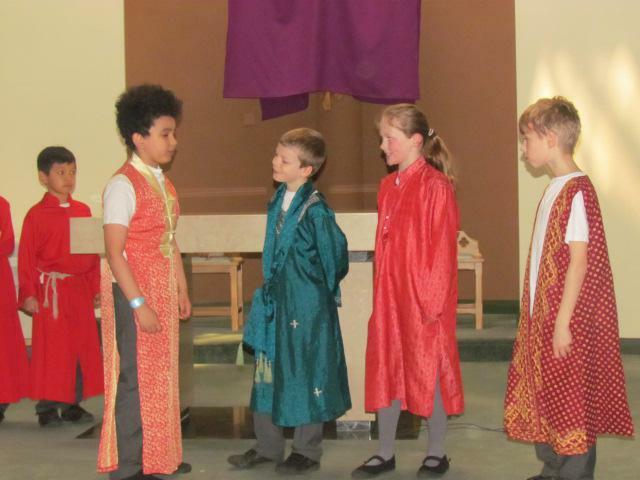 A superb recount, well done to all involved. 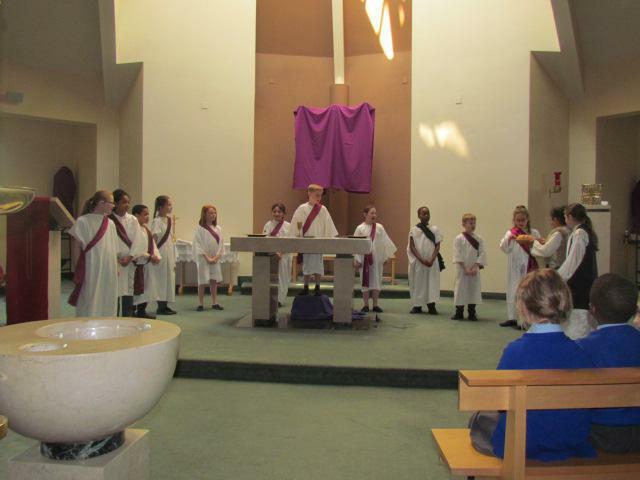 Many thanks to Mrs McGurk and Mr Pratt and all parents and parishioners who came to worship.